Now you all would be curious to know what does this new system brings to you. We would discuss its every aspect so that our users can quickly decide whether it is good enough or they should continue with their current commenting system. Interactive Interface: Comments appear in a systematic order on the basis of published dates so that users can reply or plus one with ease. While commenting, you would feel as if you are chatting with your friends because it is interactive and instantly updates the comments. Public or Private Comments: Now your readers would be able to post a comment publicly or privately to the people in their Google+ circles. In addition, when people are browsing the comments they can view all or them, most voted ones, or only from the people in their circles. All Activity at one Place: Whenever someone would share your content on Google+ or they would pass-out an opinion, it would automatically display them in your Comment Feeds. For example, if there is a discussion going on about your content on Google+ then those comments, replies, and entries would also appear on your Blogger blog. 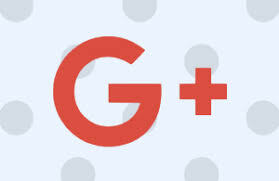 Also Share to Google+: When someone leaves a comment on your site, he is not only just writing his views, but he is helping you to gain more audience by sharing it to the peoples in his circle. For Example, if you post a comment, it would publicly appear on your Google plus profile too. However, user scan uncheck the “Also share on Google+” option to stop sharing. Edit or Delete Comments: You can now edit or delete your comments. Through the flexibility options of Google+ you can easily edit or delete them anytime, anywhere and everywhere. You can’t be serious, aren’t you?